The picture above is of CURE in Philippines. 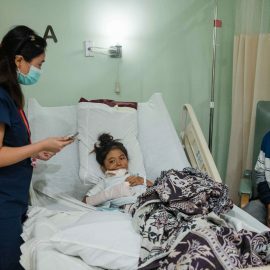 Everyone who serves with CURE in Philippines, from medical professionals to office staff, are dedicated to providing the highest quality medical and spiritual care to people who, without CURE, couldn't find it and couldn't afford it, just like Kristine. To do that, we're inviting you to partner with us. We need to raise approximately $1000 to treat children like Kristine. 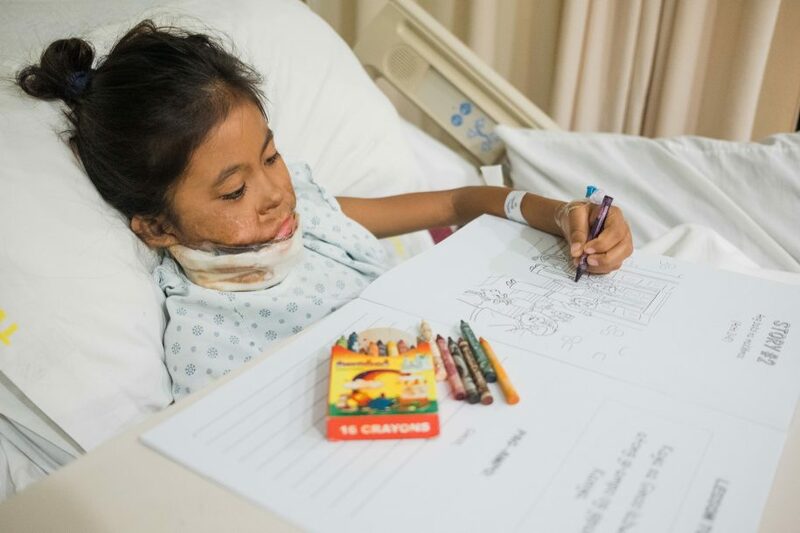 When you give a gift through Kristine's CUREkids profile, your contribution will help us continue our work in countries like Philippines. Have more questions? Ask us. 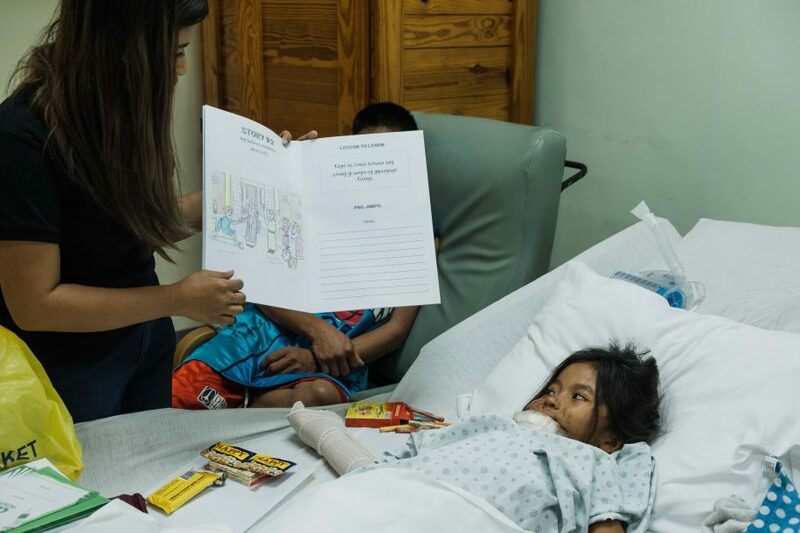 When you partner with us monthly, we'll send you an email each month to introduce you to a different child who was helped because of your generosity. You can choose to follow their updates and send them get well messages. That means that each year, you're a part of helping 12 different children, beginning with Kristine. We call it being a CURE Hero! “I’m currently in 5th grade and I like to play “house” and toys with my friends. When I grow up, I want to work hard to become a doctor so I can help other people,” says Kristine as one of her hopes for the future. Kristine got her heart to help others from her mom, Gina, who cooks for kids who need nutritious foods in school because of malnutrition. One of those children is Kristine as Gina affirms that she “loves to eat vegetables!” But even though Kristine takes in all the nutrition from the meals her mom makes, it takes her awhile to eat because of the burn contracture from her mouth to her neck. ”When she was eight months old, a gas lamp accidentally poured onto the rug where Kristine had started to crawl. I didn’t hear anything because she didn’t cry. I woke up to her face looking so dark. So we ran her into several local hospitals and we were told that it was a 3rd degree burn. She was treated but Kristine didn’t really get surgery until she was five years old when her skin started to contract. We were told that this treatment was in stages because her skin is still growing. Then, we weren’t able to go back since the local doctors already moved forward,” Gina shared with us a glimpse of their story. 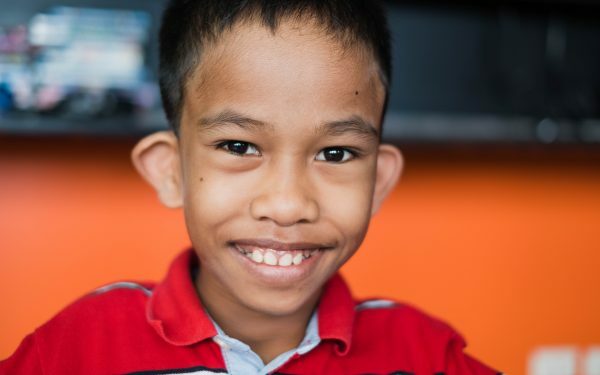 Four years later, Kristine and her parents—Gina & Alex— found hope and another opportunity for Kristine to get treated when they came to visit our mobile clinic in Tagum City. “We are so happy that Tebow CURE gave us this chance for a follow-up treatment,” expressed Gina and Alex. 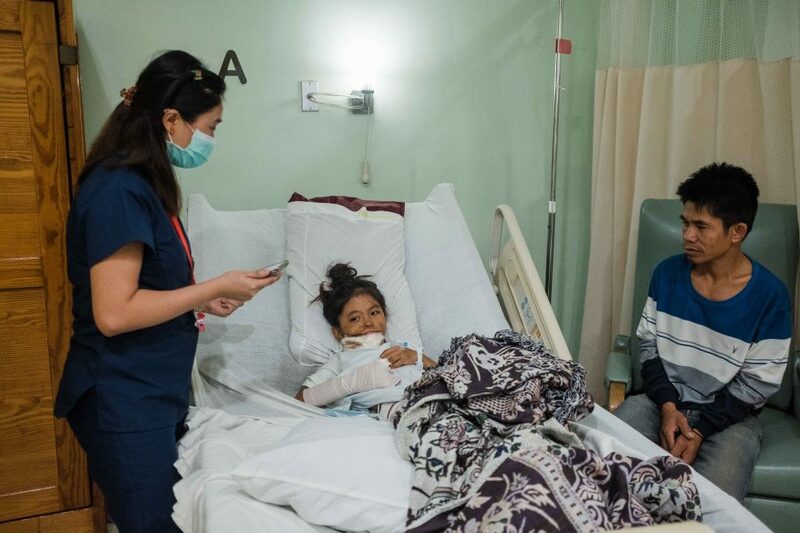 Thanks to your continuous support, we are able to provide sustainable medical treatment for Kristine as we show them God’s love at work here in the Philippines! Even though recovery is painful and hard for Kristine, she still managed to get a full night's sleep. So during the her hours awake, nurse Kris delivered her Get Well messages to let her know that there are so many of you praying for her! "We are comfortable here and are very thankful," Gina told us. Thank you for allowing us to bring healing to Kristine's life. We not only get to provide a comfortable environment for her to heal but also get to share the great Comforter of our lives—Jesus! Kristine was the first surgery this morning! The past few days have been a whirlwind for her! 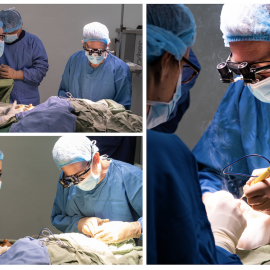 We are blessed to have Dr. Andrew visiting, he specializes in plastic surgery and can navigate the difficult task of releasing Kristine’s burn contractures. Once her healing is complete, she’ll be a new person, with a new smile and a new look on life! 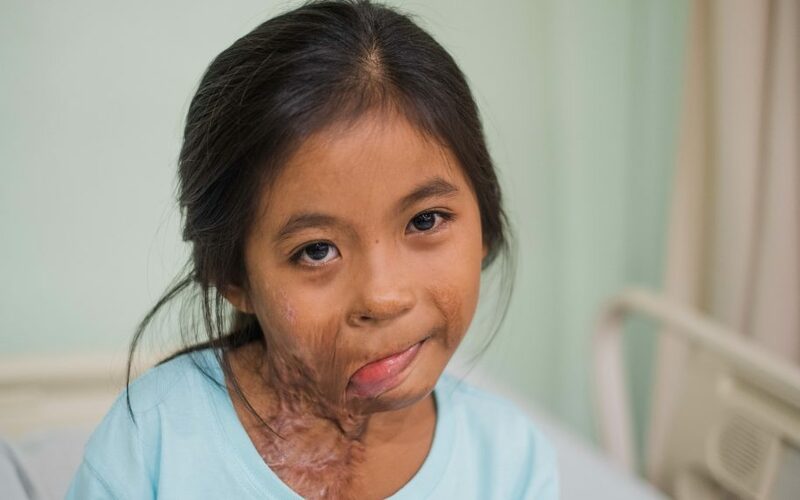 Kristine will always have some scars that will be reminders of what happened, but they will also serve as a testimony to God’s goodness and healing! The next few days will be really difficult for her, please pray with us as she recovers from surgery. There are currently 93 different people who are a part of Kristine's support community. What about you? This is Kristine's 1st procedure. 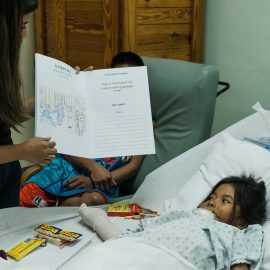 Kristine has had 1 procedure at CURE Philippines. 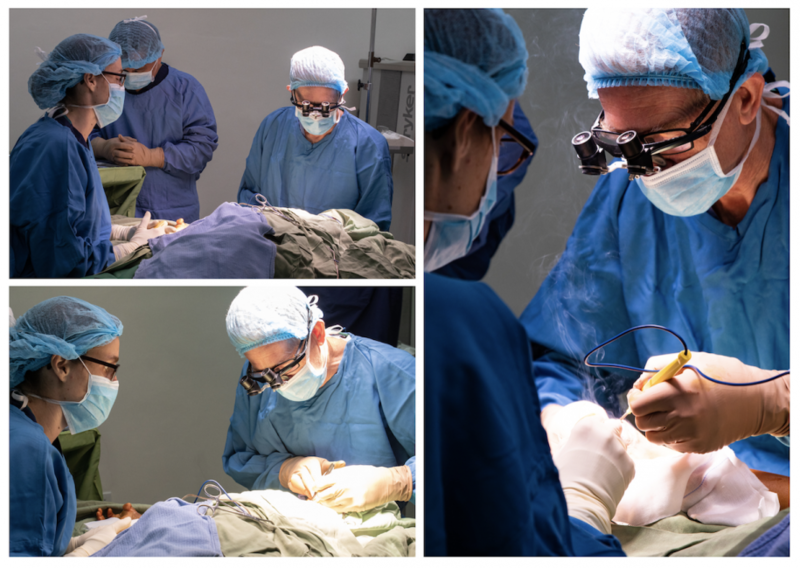 Below are the before and after photos for each procedure. We're sending your message for Kristine to CURE Philippines. Every month, be a Hero to a child at a CURE Hospital, beginning with Kristine. 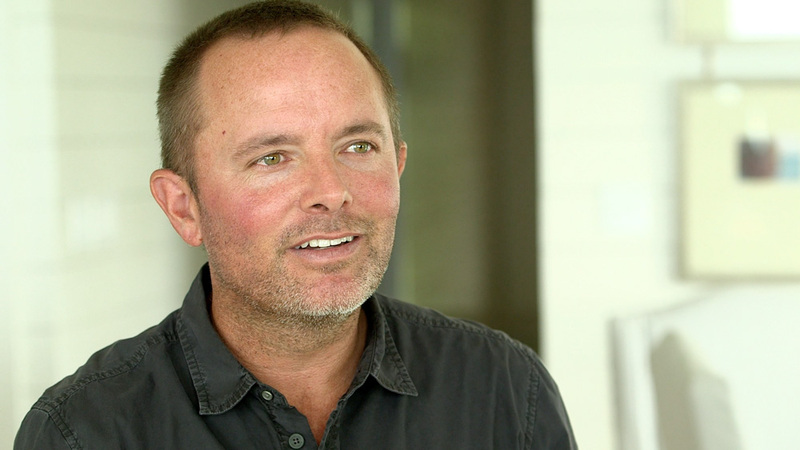 Real-time updates will let you see the impact of your giving monthly! 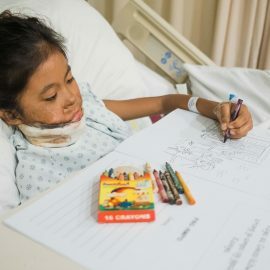 Your generosity will provide major underwriting for a surgery at CURE Philippines while you receive real-time updates on Kristine.